The new PHP 7.2 comes with enhanced security thanks to the supported modern cryptography. Language improvements are even greater this time since 7.2 arrives with numerous enhancements of the existing features and functions. PHP 7.2 is supported for all hosting services offered by SuperHosting.BG. What’s new in PHP 7.2? The cryptography extension libsodium is adopted in the PHP core as it allows access to the Libsodium system library. Libsodium is a software tool for encryption, decryption, signing, password hashing and more. Now the new, recommendatory standard Argon2i has been added to the hash algorithms. PHP extensions are loaded now by their names, but not the respective file names. Until recently you needed to add the „extension=phpmodulefile.so“ line to php.ini, but from now on this is going to look that way: „extension=phpmodulename“. __autoload, $php_errormsg, create_function(), each(), etc. And more improvements, features, incompatibilities with older versions, etc. Are WordPress and Joomla! Compatible with PHP 7.2? The new WordPress 4.9 is fully compatible with PHP 7.2. Before upgrading your website to a newer PHP version, make sure that your website along with the theme and plugins used already support 7.2. If a certain plugin is not PHP 7.2 compatible you might need to wait for an upgrade. Although there is still no official information on Joomla!, newer 3.x (3.8, 3.9) versions are expected to fully support PHP 7.2. We recommend that you first test in a staging environment to make sure that your Joomla! version and all its modules work properly with PHP 7.2. If everything seems to function normally then enable PHP 7.2 for the real website. We remind you that PHP 7.0 is fully supported since Joomla! 3.5, so if you are using this or a later version you can enable PHP 7.0 or 7.1 through cPanel -> PHP Manager. If you are using shared hosting or Managed VPS, you can enable PHP 7.2 for the whole hosting account or only for a specific directory by going to -> PHP Manager by SuperHosting. Before switching to 7.2 you would better make sure that your website along with the theme and plugins used can properly work with the latest PHP version. If you have already enabled 7.2 and notice that a certain functionality does not work, you can always downgrade to an older PHP version from PHP Manager that is available in cPanel. 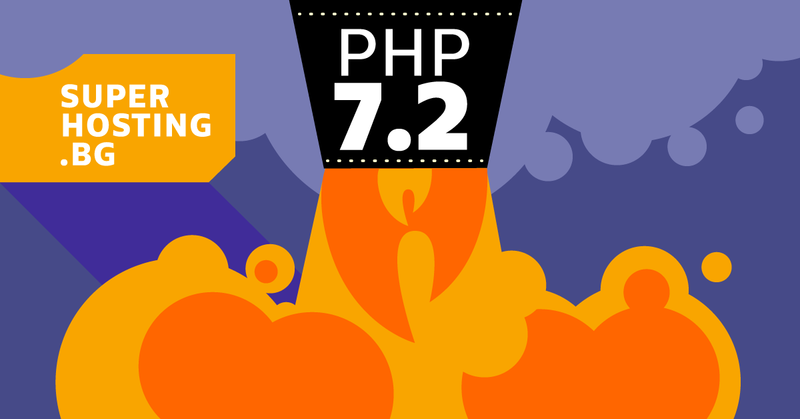 PHP 7.1 is Already Available at SuperHosting.BG!